DID YOU PACK THESE BAGS YOURSELF, SIR? So there you have it, I started a blog based on THE PEBBLE and a journey of self-discovery and ended up on my own escapade of finding out what is going on inside my head. Is there a more secure guinea pig than the author himself? I think not, and at this point I offer my humblest apologies for bunching up a group of days of the 21 day journey but that is how it is with self-discovery, sometimes things get out of the process and kind of crazy. What did I find out about me and my inner self? Well much like you, I have worked out that some stuff is my baggage and other stuff is simply other travellers luggage that I am carrying through life and I don’t want it no more..
MEGA-CHURCHES AND THE WIZARD OF OZ! It is no secret I am a Christian, whatever that tag means you, but to me it means I follow Jesus Christ and believe all the bible says about this man/God who raised the dead, healed the sick and died on a cross for me. Cool and kind of mind blowing stuff. I have worked out that Christian land is very much like the land of Oz. What do I mean? Well, there is no doubt REAL magic and amazing events likely to happen at any moment but sadly the main people in power are often nothing more than normal human beings hanging onto power behind a curtain, desperately trying to keep a grip on the people through a process of manufactured atmosphere and yet the real POWER is simply out there among the munchkins. My God does not need megaphones and smoke machines He just needs open hearts and willing citizens of His new Kingdom! Real change begins the day you see God for who He is and also see the wizards behind the curtains…Things can change, but only really change when you stop looking for the wizard and start seeing the power in the people along the yellow brick road! The problem with a journey of self discovery is that it is a very frustrating trial. It is the horrible realisation that perhaps all that you fled from is actually all that you are. I know I have been there! Let me explain. 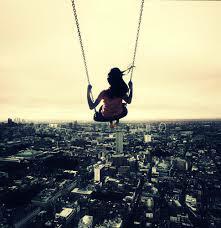 You take a massive jump of ‘faith’ when you are lost, confused and sometimes basically exhausted. It is also at that time of mental fuzziness, as I call it, that people will sway you in their direction by soft words and clever speech. One day you suddenly ‘wake up’ and realise that you were not that bad of a person to start with. Yeah you needed some tweaks and turns of your character but a wholesale change, no way. Problem is now how do you get back to the land that you left behind? That question is rarely looked at in any teaching about self-discovery I heard. All I seem to hear is “you are the best, you can be the best and press on!”. What about if I want to to go back? What if I just want to click my heels and return to Kansas, can someone preach on that or is it easier to say the fluffy things of the future? Self discovery is not a journey for you to manipulate so you can leave current problems behind, it is a step by step questioning of your very soul, beliefs and flaws and the honest humility to know when you made a massive mistake and try to take the brave steps of going back into your past and maybe start again! Searching For Identity – Day 4. 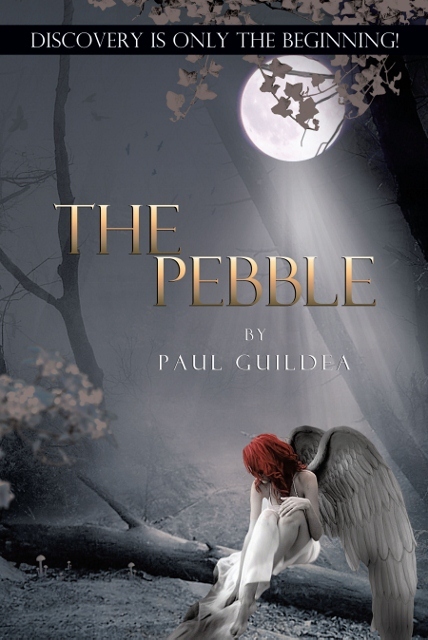 In the novel THE PEBBLE we find a girl caught in the headlights of life, desperately trying to figure out the shapes before her that form her identity. When a charming stranger unfurls his wings in a hotel room and opens her eyes to a whole new world Alex takes the invite willingly. Why wouldn’t she? Simply put, in the greatest of life’s storms anything can look like a lifeboat. Sometimes they are simply boats heading in the wrong direction. If you are unsure of the journey you are on it may take a severe event to show you that what you thought was a lifeboat is bringing you to the wrong shore. So what is the lesson of Day 4? It is this, that even if you are left with a piece of wreckage to hang onto and float for a while, then once the current is still taking you to your destination just hang on and watch the direction any potential lifeboats are moving in. Until Day 5…. ponder your life, ask what your greatest desire is and wonder if you have taken a larger ship to a wrong shore when you should have clung onto a splinter of wood and continued on to your destiny. If that is you today, well jump ship and start getting back on your journey! 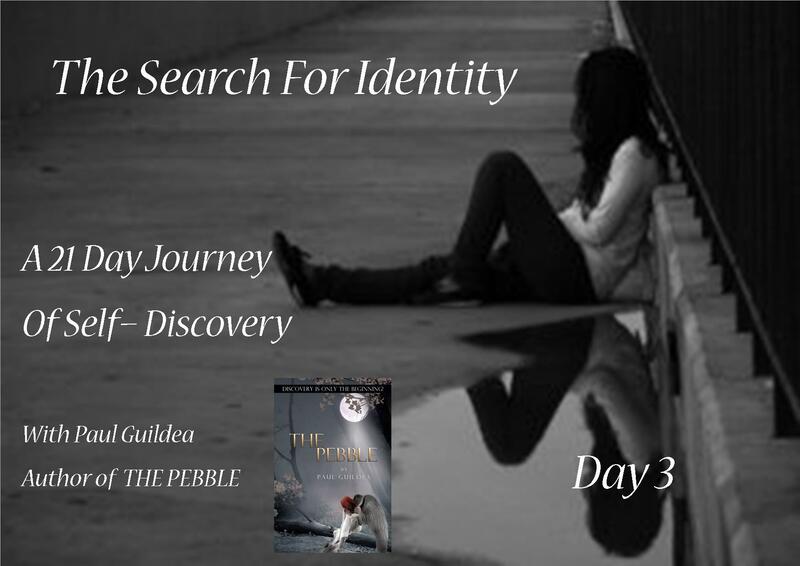 Well we are on Day 3 Search for Identity, and we are beginning to quickly find out that any journey begins with a decision to actually move. Self-discovery is no different, the journey begins when you move toward something that at that moment is just an obscure blob on the horizon. Let me tell you a cute story. Once there was a Rabbi walking out of the gates of Jerusalem and a Roman soldier shouted down form the lookout tower. The knowledge of who you are and what you are to do is a changing principle and a moving target. There are no destinations in life, simply a change of trains and lifestyles and the only obstacle is that you will not get off one train and board another. Listen, stopping to listen to the crowd on the platform of life will merely confuse you, constrict you and box you into the journey they have set for themselves. Napoleon said it like this, “I can no longer obey, I have tasted command and I will not give it up!” In other words when you get a feel for a new journey simply refuse to board the wrong train and head down the wrong track. He knew he was a leader, even though others had not seen it, he demanded it! Do you know what? He got it too!!!! The sun will rise daily and will set every evening, however the only input you have is simply where you will watch it from! Face value, we have heard it said many times to take things at face value. I challenge us not to simply accept everything as ‘the way it is’, because nothing is really what it seems, good or bad. Emotion and the words of those people around you that have filled your life will paint a picture of their understanding of who you are, base purely on how you fit into their plan for their life. If I am correct then you are reading this because you want to know where you fit into your life plan. That my friend, is a whole new ball game.